The Camp Thunderbolt is a great choice for commutes and recreation alike. It handles hills and is priced well for its 16 speeds, dual disk brakes and lighter weight (29 lbs). Among the bike’s key features are: 16 speed rear derailleur (that makes it possible for you to ride on any type of the road easily), adjustable kickstand, adjustable handlebar, alloy seal bearing hub, cassette freewheel 12-32T, folding pedal with reflectors, front and rear fenders, foldable stem, rear rack and many others. It’s also important to note that the Camp Thunderbolt comes with a foldable frame. All of this means that you’ll find it easy to fold/unfold a bike when such a need arises. It’s worth noting that you should take only three steps to fold/unfold the Camp Thunderbolt bike. Keep in mind that folding/unfolding process takes no longer than 15 seconds. Another important thing that you need to be aware of is that the bike’s frame is covered with small rubber protector. That means that you are unlikely to scratch the paint on bike’s frame when folding or unfolding the Camp Thunderbolt. What is great about the Camp Thunderbolt is that the bike is versatile. With such a folding bike as Camp Thunderbolt you’ll be able to ride on any type of a road. In other words, you’ll be able to ride up and down hills, on the beach, around the city, in rural areas, on bike paths or anywhere you want. This review gives you the perfect opportunity to learn more about the Camp Thunderbolt folding bike. Here, you’ll be able to find everything you need to know about the bike – Camp Thunderbolt bike’s specifications and images. Also, we’ll tell you about the bike’s performance. Plus, we’ll outline the most important advantages of the bike. Like any bike, the Camp Thunderbolt has its own drawbacks. Bear in mind that you’ll be able to get familiar with bike’s cons if you read this review. Finally, we’ll help you come up with a conclusion. 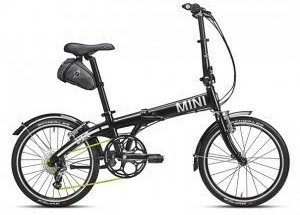 Being a fan of MINI Cooper might be a prerequisite for purchasing the MINI Cooper folding bike. It is a flashy advertisement on 2 wheels. But at the same time it is built with solid components, equipped with 8 speeds, and could be a solid choice for any commuter with a tiny trunk. Right now, we’ll tell you everything you need to know about the MINI Cooper folding bike. First of all, we’ll give you details on the bike’s key features and specifications. After that, we’ll dig deeper into the MINI Cooper folding bike’s performance. Obviously, like any bike the MINI Cooper folding bike has its own pros and cons. And of course, it’s very important for buyers to get familiar with the bike’s advantages and drawbacks ahead of time. This review gives you such a great opportunity. As a result, you’ll be able to make your own conclusions about the model and decide if the MINI Cooper folding bike is worth buying or not. It’s common for people to think that it’s hard to travel with a bike. You need to know that this opinion is incorrect. It’s worth noting that the new era of cycling has already begun and a lot of folding bikes are available for sale these days. It’s pretty easy to travel with a folding bike. The reality is the vast majority of folding bikes are compact and lightweight. Keep in mind that you can fold/unfold a bike easily and quickly when such a need arises. When a bike is folded, it doesn’t occupy too much space. All of this means that a folding bike can be easily taken either on a car or on public transportation (bus, train, etc). Allen Sports Central is known for being a very popular brand that really needs no introduction in the world of cycling. If you are interested in purchasing a folding bike of this brand, then you should definitely pay a close attention to Allen Sports Central 7 Speed folding bicycle. This model has everything that’s need to enjoy riding every single day. There has been a lot of talk about Allen Sports Central 7 Speed folding bicycle. Cyclists are eager to know how Allen Sports Central 7 Speed makes a difference as a folding bike. 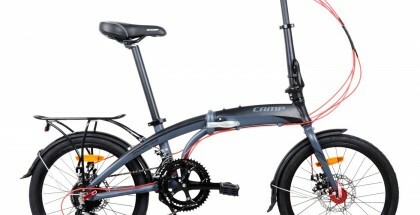 Lots of comparisons have been made with this type of a folding bike. In other words, experts have compared Allen Sports Central 7 Speed folding bike with many other models. They figured out that Allen Sports Central 7 Speed folding bicycle has a lot of significant advantages over other folding bikes. It’s clear that Allen Sports Central 7 Speed folding bike has tremendous benefits. The bike is suitable for cyclists of all skill levels. You should know that Allen Sports Central 7 Speed is the perfect folding bike for everyday use. Bear in mind that the bike itself is very durable. That means that the bike is likely to serve you well for a long period of time even if you choose to use it on a daily basis. Obviously, the manufacturer gets creative with Allen Sports Central 7 Speed folding bike’s design. So, you’ll probably like the design of Allen Sports Central 7 Speed folding bicycle. The bike comes with aluminum frame, 7 speeds, patented lock system, 451 MM wheels (that make it possible for cyclists to overcome various challenges on their way successfully) and many other great features. It goes without saying that Allen Sports Central 7 Speed folding bike has been designed with comfort in mind. In reality, you’ll be able to fold/unfold a bike in a very short period of time. The bike’s folding/unfolding process is simple and takes no longer than 8 seconds. That means that you’ll be able to fold and unfold the bike fast and easy. Another important thing that you need to be aware of is that Allen Sports Central 7 Speed decreases in size significantly when the bike is folded. And of course, it’s a big advantage for people who choose to travel with a bike. The Allen Sports Central ranks in the middle of the Allen Sports folding bike line up for design, capability and price. It is competitive in the 7 speed category with a patented four link front suspension, aluminum frame and weight of 25 lbs. The Central is a great middle of the road commuter bike option! The Xootr Swift is a good, lightweight commuter bike. With 8 speeds it can handle a decent commute. It’s only real flaw is the unique folding style which is easy and quick but does not collapse the bike down very small. The Xootr Swift is a folding bike that really needs no introduction in the world of cycling. 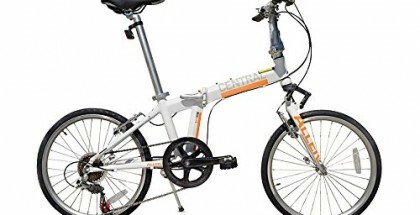 It’s worth noting that this type of a lightweight folding bike has become a good alternative to heavyweight bikes from famous brands such as Allen Sports, Brompton, Dahon and others. The bike itself is very functional and has a lot of unique features. And of course, this helps the bike stand out from the crowd. You need to know that the Xootr Swift folding bike performs very well on different types of reads. With such a folding bike as the Xootr Swift you’ll definitely find it easy to ride in all conditions. With the Xootr Swift folding bike you’ll find it easy to ride on streets and paths of the city. Also, you will find it comfortable to ride the bike in rural areas. It’s also important to note that the bike performs very well both on short and long distances. However, you may experience some vibrations in you ride a bike on uneven surfaces. What are key features of the bike? How does the Xootr Swift folding bike make a difference? Does the bike perform well? What pros and cons of the Xootr Swift folding bike? How does the Xootr Swift folding bike look like? Actually, these are the most common questions which are asked by people about the Xootr Swift folding bike. Below, we’ll give you some insights into the bike and help you find the answers to all of these important questions. $799 at Amazon + Free Shipping! The Montague Navigator is a full size bike that also folds! With 27 speeds and 700c pavement ready tires this bike is designed to make commuting smooth and painless. The patented folding system is unique to Montague bikes and makes them the strongest folding bikes on the market. The Montague Navigator is one of the best full size folding bikes available on the market these days. The Montague Navigator is a folding bicycle that delivers multiple significant benefits to cyclists. The bike is well-designed, versatile, fast, comfortable and durable. It goes without saying that the manufacturers of the Montague Navigator folding bike are committed to the best possible customer experience. What is great about the Montague Navigator is that this type of a folding bicycle comes with 27 speeds. This is something that makes the Montague Navigator folding bike so fast. The bike itself is very powerful, so you’ll be able to ride it on all types of roads efficiently. The Montague Navigator is a versatile folding bicycle that performs well on different types of roads. There is no doubt that you’ll find it easy to ride the bike on dirt trails and roads. With such a wonderful folding bike as the Montague Navigator you’ll be able to ride in any weather condition. Bear in mind that the Montague Navigator works pretty well in both wet and dry conditions. Riding uphill wouldn’t be difficult for you with such a folding bike as the Montague Navigator. It’s worth noting that the bicycle can be used both for short distance travels and long distance travels. The Montague Navigator is the perfect bicycle for cycling in both urban and rural areas. 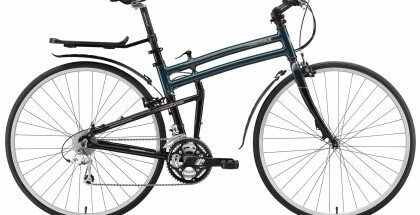 The Montague Navigator has recommended itself as a very comfortable bike. It’s pretty easy to fold/unfold the bicycle. The process of the Montague Navigator bike’s folding/unfolding takes seconds. Once the bike is folded, you’ll be able to fit it in the trunk of your car fast and easy. Do you need to travel with a bike by bus or by train? The Montague Navigator makes it possible! All that you need to do is to fold the bike and then take it on public transport. Once you’ve arrived to the necessary place, you’ll be able to unfold the Montague Navigator bicycle quickly and continue riding. It’s also important to note that the Montague Navigator folding bike comes with an adjustable seat and adjustable handle bars. That means that you’ll be able to adjust your folding bike for the necessary rider’s height easily and quickly. Also, it doesn’t take a cyclist too long to make the necessary adjustments. Bear in mind that the Montague Navigator folding bicycles are available in two colors – black and blue. Therefore, you’ll have an opportunity to pick the bike that meets your color preferences in the best possible way. $959 at Amazon + Free Shipping! The Montague FIT is the top in its category by Montague. Its patented FIT frame makes it the strongest folding bike on the market and the carbon fork makes it the most responsive (expensive) pavement choice from this brand. If you are looking for a solid road bike that travels well then this is the best of the best with 30 speeds and only 26.5 lbs. The Montague FIT has recommended itself as a lightweight and powerful folding bike. It’s worth noting that the bicycle’s folding/unfolding process is very simple and doesn’t take too much time. Keep in mind that you’ll be able to fold/unfold a bicycle within 20 seconds. However, the most important thing is that you don’t need to use any tools to fold/unfold the Montague FIT bike. And of course, all of this will contribute greatly to rider’s comfort. There is no doubt that you’ll like the Montague FIT bike’s versatility. The bicycle itself is very fast and easy to maneuver. That means that you’ll definitely find it easy to travel around the city with the Montague FIT foldable bicycle. Another important thing that you need to be aware of is that the bike can be easily taken on a bus or train. If you fold the bike, it will decrease in size dramatically. As a result, it will fit a car’s trunk. All of this means that you can easily travel around the country and abroad with the Montague FIT folding bike. The Sueh Q6 is a basic folding bike. Ideal for recreational use during travel or around town. This 7 speed bike can handle decent hills but is not recommended for commuting. You’ll definitely like the bike’s design. 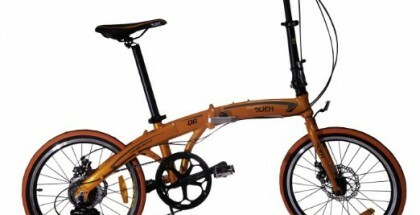 It’s worth noting that Sueh Q6 – 7 Speed folding bike has fashion design. It’s fair to say that the bicycle has been designed in an unusual way. 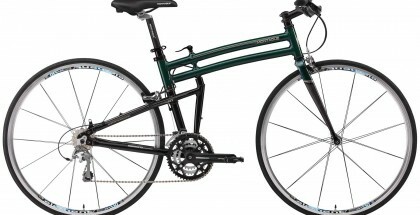 What is great about Sueh Q6 – 7 Speed model is that the bicycle comes in multiple colors. That means that you’ll be able to pick the bike of your favorite color. Another big advantage is that Sueh Q6 – 7 Speed is an easy to fold and easy to carry bike. Would you like to carry a bike? Or, maybe, you want to transport a bike from one place to another? No problem. You should know that Sueh Q6 – 7 Speed is a small and lightweight folding bike. The bicycle will decrease in size dramatically and become much smaller if you choose to fold it. 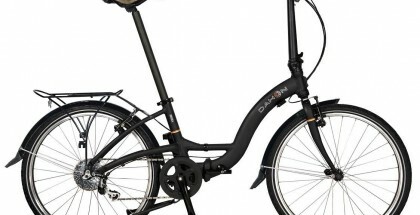 Once the Sueh Q6 – 7 Speed is folded, you’ll find it easy to take your bike on a bus or train. After you arrive to the necessary place, all that you need to do is to unfold the bicycle. Thus, you’ll be able to travel with your bicycle. And of course, we need to pay a close attention to the bike’s key features. It’s worth noting that the bike comes with Shimano 7 speed system that contributes greatly to performance. Do you need to go uphill or go downhill? With such a folding bicycle as Sueh Q6 – 7 Speed you’ll find it easy to overcome all types of challenges along the way. Another important thing that you need to be aware of is that Sueh Q6 – 7 Speed has been designed with rider’s safety in mind. In other words, the bicycle comes with the up-to-date breaking system. There are breaks on bike’s front and back wheels. This makes it possible for a cyclist to stop the bike quickly when such a necessity arises. In this bike review, you’ll get an opportunity to explore Sueh Q6 – 7 Speed folding bike carefully. first of all, we’ll briefly describe the bike’s key features and specifications. After that, we’ll turn your attention to the bike’s performance and explain to you what you can expect from Sueh Q6 – 7 Speed folding bike. Plus, we’ll outline the pros and cons of Sueh Q6 – 7 Speed folding bicycle. Above all, we’ll provide you with images of the bike. Finally, we’ll allow you to take a look at Sueh Q6 – 7 Speed folding bike’s customer reviews. So, you’ll be able to see what happy and unhappy customers say about Sueh Q6 – 7 Speed folding bicycle. Hopefully, this will help you make your own conclusions about the bike. Cycling is the way of life for people who want to exercise on a regular basis and stay healthy all the time. We all know that cycling is a great way to prevent various health issues such as heart disease, haemorrhoids as well as cancer. On the other hand, cycling is known for being an effective weight loss method. And of course, prevention is better than cure. According to numerous medical studies, cycling is the activity that boosts an immune system. Biking is something that keeps people young. If you want to live a healthy lifestyle, then it would be better for you to purchase a bike. 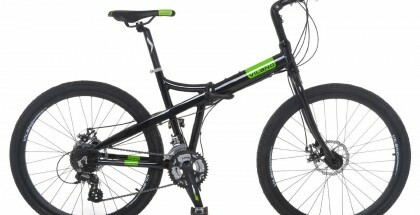 What to Look for in a Bike? However, when picking a bike you need to make a strategic choice. The challenge is that a lot of folding bikes are available for sale today. So, the question is – what type of a bicycle do you need? Let’s dig deeper into this question. Clearly, you should aim to buy an easy to use, compact, powerful and well-designed bicycle. When picking a bike for urban commuting you need to give a preference to bikes which can be folded/unfolded fast and easy. Now, this has become a reality. It’s no surprise that cycling industry is constantly changing. It’s worth noting that a folding bike has been a dramatic change in the cycling industry. It’s fair to say that the new era of bikes began when a folding bike was invented. So, we are living in the era of folding bikes today. What is great about folding bikes is that they can be easily taken on public transportation (bus, train or subway). That means that you’ll certainly find it easy to navigate around the city with a folding bicycle. Folding Bike 20 will take you inside the world of folding bikes right now. We’ll review Sueh Q1 – 7 Speed folding bike and explain to you what makes this folding bicycle so special. You need to know that Sueh Q1 – 7 Speed model is the perfect example of a folding bike. This bike can get you from point A to point B. It folds and unfolds. It shifts gears. This bike is one of the cheapest folding bikes out there. Let’s first talk about the design of Sueh Q1 – 7 Speed folding bike. There is no question that you’ll get excited about the bike’s design. The bike is designed in a fashioned way. If you take a look at Sueh Q1 – 7 Speed model, you’ll find that this type of folding bike that has been designed to make every cyclist happy. The bike is small, compact and fun. It’s also important to note that Sueh Q1 – 7 Speed folding bike comes in multiple colors. Therefore, you’ll find it easy to pick a bicycle that meets your color preferences. 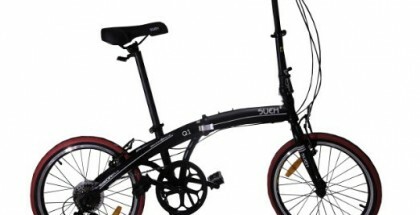 Sueh Q1 – 7 Speed is known for being a healthy, environmental and eco-friendly folding bike. Now, let’s pay a close attention to the bike’s key features. The Sueh Q1 – 7 model comes with Shimano 7 Speed system that can greatly improve the bike’s performance. The bike is also equipped with Cantilever breaks system that makes it possible for a rider to stop the bike anytime.